The hostel has a cancellation policy of 7 days for group bookings. To cancel your reservation or any particular night from the booking, please contact the Front Desk at least 7 days prior to arrival (the latest until 12pm the previous day). If the reservation is not canceled in advance, it will be seen as a “No Show” and your credit card will be charged the first night’s total charge. If the reservation is not amended (abbreviated) 7 days prior to check in, at arrival the whole length of the original booking will be charged, as it is not possible to shorten the booking when checking in. Tourist Tax in Split is 8 kn per person, per night. This charge will be added to the total charge upon arrival! VAT of 10% for overnight stay and 25% for other products and services is included in the price. As we are no party hostel, Stag/Hen/Bachelor Party trips will not be accepted. If the group ignores this house rule, the hostel keeps the right to reject the check in and the booking will be seen as a &#39;No Show&#39; (plese see the Cancellation Policy). Tchaikovsky Hostel is a newly renovated boutique hostel in the center of downtown Split, literally a few steps from the UNESCO zone. Our staff offer a wealth of knowledge about Split and the surrounding region, as well as plenty of advice for travel planning, what to do on a night out, recommendations for hidden beaches, and the best local restaurants! Our hostel provides a great relaxed atmosphere to absorb the true Split experience, fun, sun, and the local mindset of pomalo (meaning take it easy!). We welcome travelers from all over the world! Everything Split offers is just a few steps from the hostel: restaurants, bars, beaches, ancient ruins, galleries, excursions and much more! 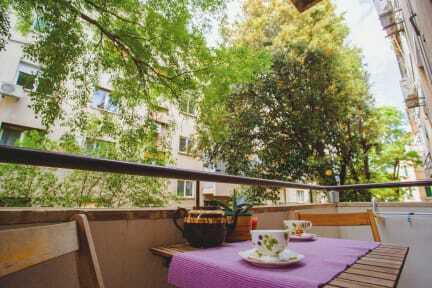 Tchaikovsky Hostel, established in 2011, has been a staple in Split for over 7 years, as a thank you to our guests we offer Free artisan teas all day long! 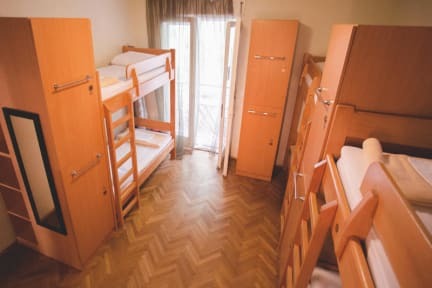 We also offer free luggage storage at the hostel. Just be sure to let us know when you need to drop off your bags! Our staff are top class and are always ready with some great travel recommendations, whether it be around town or in the region, be sure to use them to help plan your travels! Every bed comes equipped with its own night light, shelves, electric socket and a curtain which ensures more privacy for each guest. Individual lockers are provided in the room without charge that are more than large enough to accommodate any type of luggage. We do have 24hr check-in but we require notice for any check in before or after normal operating hours (9am-10pm).